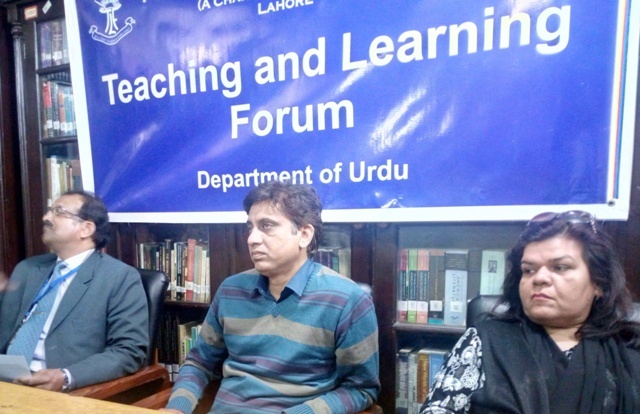 Teaching and Learning Forum, Department of Urdu held an interactive workshop on 21 March 2019 in Jacob Lal Din Seminar Room, Ewing Memorial Library, on the topic “BISE Urdu Exam”. At the beginning of the workshop, Prof Tahir Masood, Coordinator of the Forum, presented a summary of the workshops held in the previous years. The Intermediate exam question paper and subjective questions were discussed during the meet. 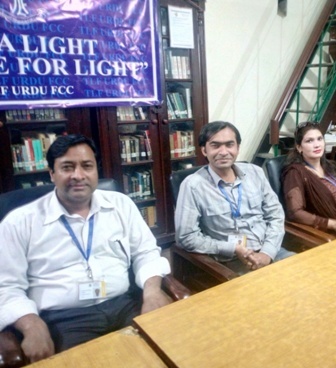 The participants shared their views on how to teach students to solve BISE question papers. Being senior teachers, they gave experience-based suggestions. The workshop is likely to help improve the BISE result. At the end of the session, workshop co-coordinator, Ms Hina Patrick gave a vote of thanks to the participants. Handouts were given out and a group photograph taken. In his closing words, Urdu Department Head Mr Aneel Samuel appreciated the efforts of TLF, which regularly holds educational workshops and sessions to improve teachers’ professional skills.